Sanctuary Oil Stock Set. Ht 3/2". Diameter 1 3/8". ENgraved w/ OI, SC, OS. 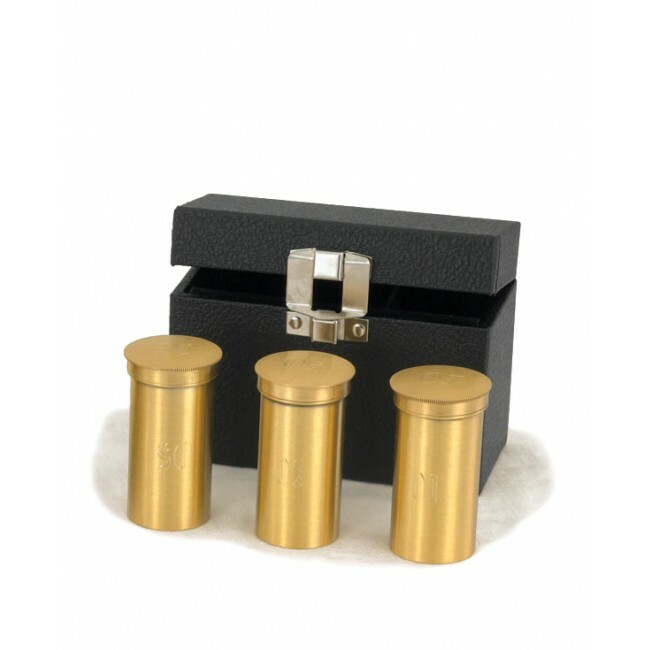 Sanctuary Oil Stock Set has individual phials or vessel to hold each of the oils seperately. The holy oils are blessed on Holy Thursday during the Chrism Mass. The oils are then kept in the oil stocks to be used throughout the year. each is marked seperately. "OI" for the sick, "SC" for Confirmation and Consecration and "SC" for Baptism.